The Worx Landroid WR143E is suitable for gardens up to a maximum of 1,000 m2. It is equipped with a lithium-ion battery and overcomes slopes of up to ±35% (20 °). Thanks to "Power Share", the 20 V battery can also be combined with other Worx devices and tools! The lawn mower robot can be easily and comfortably programmed via smartphone app. By walking through the garden with the smartphone, the size of the area is automatically determined. The Worx WR143E then independently creates an optimized mowing plan. The robot mower not only considers the size of the mowing area, but also adapts the mowing frequency to the weather conditions and grass growth. The Worx Landroid M1000 gives your lawn exactly the care it needs. The Worx M1000 robot lawn mower is equipped with AIA technology (artificial intelligence). It mows narrow passages reliably and moves skilfully through them. This makes the Worx Landroid M1000 a good choice, especially for complex lawns. For an optimal handling of hard-to-reach areas, the lawn robot offers multi-zone programming. Via the Wi-Fi connection, the Worx WR143E automatically updates its firmware. Thus, your robot mower is always up to date. Note: All settings can also be made via the display directly on the device. The robot mower navigates randomly. The grass is trimmed with three sharp knives mounted on a rotating disc. Through a rotation in both directions, the blades are used evenly on both sides. That's how the knives last almost twice as long! 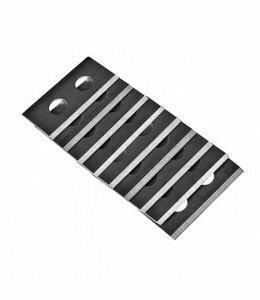 Depending on requirements, the cutting height can be adjusted in four steps between 30 and 60 mm. The fine grass remains fall down to the ground as a mulch and serve the lawn as a moisturizer and natural fertilizer. With a rain sensor, the Worx robot lawn mower recognizes rainy weather. When wet, it interrupts its mowing operation and continues when it is dry again. The sensitivity of the sensor can be adjusted individually. A weatherproof construction also allows the lawn mower robot to mow when it rains. When the battery is low, the lawn robot automatically returns to the charging station to recharge. The robotic lawn mower Worx M1000 can easily pass through the charging station with side-mounted charging contacts. This allows a very flexible placement of the station. When the cut-to-edge function is selected, the lawn mower robot mows close along the boundary wire. As a result, the lawn edge is mowed properly and it requires less rework along the cable. The Worx Landroid M1000 robot lawn mower can be equipped with various accessory parts and features. So, you get a device that exactly meets your wishes and requirements. The Landroid detects obstacles using ultrasonic sensors. It skilfully bypasses objects without bumping into them. The Worx Landroid M1000 can also be controlled by voice commands through integrated speakers. The position of the lawn mower robot can be detected in the event of a theft using 4G technology. The Digital Fence is a virtual demarcation option. 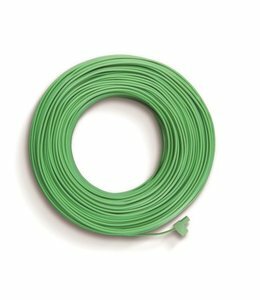 For lawn areas with many obstacles, it simplifies the placement of the boundary wire. Note: Other accessories are supposed follow according to the manufacturer. If the robot mower is tilted or lifted, the sharp knives will stop immediately. A PIN code serves as a child safety lock and protects against the usage by unauthorized persons. In addition, the Worx M1000 blocks if it is placed outside the network. The Worx Landroid WR143E is delivered pre-programmed. The installation of the robot lawn mower can be done in just a few steps, because all necessary accessory parts (boundary wire, etc.) are included in the delivery. At the press of a button, the Worx Landroid M1000 robotic lawn mower starts its first mowing operation. True to the motto: "Plug'n'Play"! Please contact our customer service for advice, guidance or modification of orders. You have total peace of mind and can enjoy getting to know your new electronic helper in your own time, in your own home and with absolutely no risk. RoboCleaners offers various methods of payment. Free delivery as of 250€.